Railpictures.ca - Michael Berry Photo: Snow-covered VIA 6406 leads VIA 34 from Ottawa around a curve as it heads east. | Railpictures.ca – Canadian Railway Photography – photographie ferroviaire Canadienne. 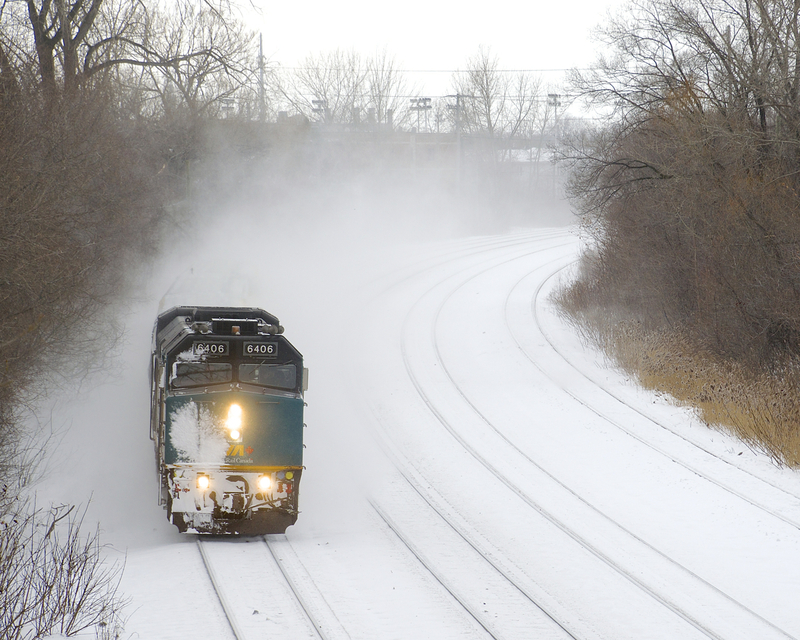 Caption: Snow-covered VIA 6406 leads VIA 34 from Ottawa around a curve as it heads east.